Being a solution provider means helping our customers to achieve higher levels of success by engineering the best systems for their requirements. It means looking at the customer applications from many angles to find new ways to create value. Our goal is to increase your profits with automation solutions that reduce your production costs, thereby enhancing and improving your productivity. to customers through latest technology. nurture them towards identifying the organization’s goals as their personal targets. To achieve excellence in every sphere of work. 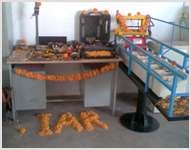 IAR is a prominent leading provider of all types of PLC & SCADA based Automation solutions right from Fully Automatic Surface Treatment Plants (all types of Electroplating plants, Electroplating Plants with Transporters Barrel and Vat Lines for Nickel Chrome, Zinc, Silver etc) with Transporters, Custom Built Automation systems, Motion control systems, Robotic & Servo based systems, Pick and Place type of material handling solutions, Conveyorised Automation, etc. We are capable of providing you the Complete Paint shop including Internal & External painting, Baking Ovens, Batch type production (Transporter based) and Conveyorised Automation systems, Rotary hangers, Component Indexing, Paint feeding and recirculation system, Automatic Paint Gun systems with Reciprocator, etc. We improve Industrial production quality, quantity, efficiency, reliability, stability and flexibility by creating stable and state of the art automation solutions. We have proven track record on implementing many end to end automation solutions in almost every industry. Our consistent quality implementation along with dedicated support service makes our customer's industries perform stable, reliable and efficient. 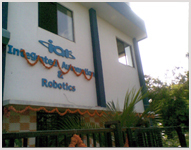 We pride on being one of the best Turnkey automation solution providers all over India. We understand that every company's stability is dependent on the quality of the products they produce and their growth is dependent on quantity they produce. Making these two objectives is critical for the industry's performance. Our mission is to excel industrial performance and make these targets a reality for our customers. 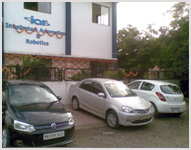 IAR's automation capabilities go beyond individual automation machines. We can provide assistance with an entire Manufacturing Plant Line as well. From concept to integration we are able to provide multiple processes that can be linked together to deliver the final automated process and product you desire. To create Solutions for customers to enhance productivity, reliability, reduce wastage, create a safe work environment and reduce cost by providing value added services in Engineering and Automation with highest standards on Human values, corporate culture, Creativity, Quality and Competitiveness. environment conducive to growth of Employees, Suppliers, Contractors and Vendors. other agencies at site, including client's property by following best industry practices.